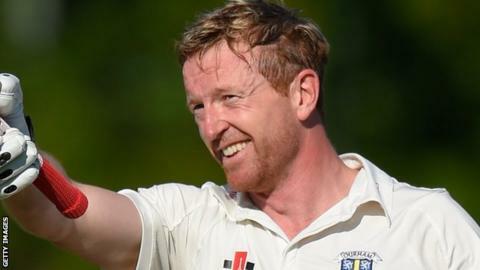 Durham four-day captain Paul Collingwood has extended his contract for a further year. Collingwood, 39, confirmed in July he was in talks about staying with the county beyond the current campaign, having been a regular in 2015. This season he has played 32 games in all competitions, scoring 657 runs at an average of 32.85 in Division One. "I want to carry on playing as long as I possibly can while I am still enjoying it," said Collingwood. "I'm absolutely delighted to have signed another contract and I want to carry on improving this wonderful club on the pitch." The former England one-day captain, who won the 2010 World Twenty20 as skipper, made his first-class debut for Durham in 1996 against Northants and has since played more than 250 Championship games. Head coach Jon Lewis added: "We can look forward to next year with him amongst us. "It helps with the planning and it's good knowing we've got his input for at least another year."